The Zandberg Committee submitted its concluding report to the prime minister on February 15, 2018. 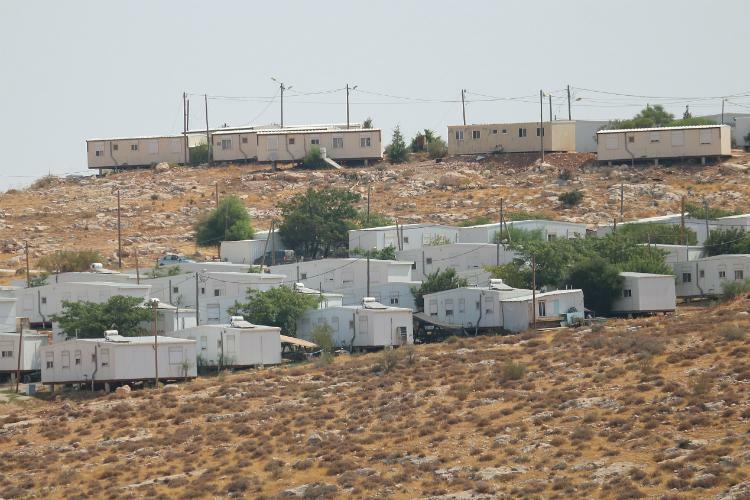 The report is designed to provide the government with tools for retroactively authorizing scores of Israeli outposts and neighborhoods built in the West Bank illegally and without Israeli government approval. The Security Cabinet appointed a task force, headed by Pinchas Wallerstein to implement the Zandberg Committee recommendations within three years. The position paper The Age of Regularization presents and analyzes the main findings of the Zandberg Report regarding the obstacles to ‘regularizing’ illegal construction and its recommendations on how to overcome them. The position paper offers analysis and explanations on various terms including market ouvert, consolidation and subdivision, expropriation, all of which are under consideration as “legal solutions” for regularization. Alongside the review and analysis of the committee’s recommendations, the position paper also presents estimates regarding the number of Israeli outposts and structures the Zandberg Report refers to but refrains from listing. The position paper goes on to discuss the implications of the Zandberg Committee report and the differences between it and the Regularization Law. Regularization’ is a euphemism for violating Palestinians’ property rights and condoning landgrab (even if in a minority of cases landgrab was perpetrated unknowingly) and dispossessing the Palestinian landowners. The outposts and neighborhoods covered by the retroactive approval pathways suggested in the Zandberg Report were established years ago as a tool for illegal takeover of Palestinian land, infringing on Palestinian landowners’ property rights. Until recently, Israel had maintained the semblance of a legal reality in which Israeli communities built without approval, in violation of the law and through landgrab were considered illegal and the Palestinian landowners’ de jure rights in the land were preserved, even if their de facto rights were severely violated or entirely denied. The state now seeks to institutionalize and normalize landgrab and give it legal status. In ‘regularization’, state authorities are rewarding those who stole land from others in brazen breach of the law. The ‘regularization’ efforts led by the Government of Israel do not include retroactive authorization of all structures built illegally in the West Bank. They address Israeli construction only, thus adding a new dimension to the already egregious discrimination against Palestinian residents of the West Bank with respect to land allocation, planning and construction. Through the Zandberg Report, 99% of unauthorized Israeli outposts are expected to be retroactively approved within two to three years. This figure includes 70 unauthorized outposts that have not yet been retroactively approved (in addition to 30 outposts that have already been approved) and some 7,000 illegal structures in Israeli settlements and outposts. The implementation task force headed by Pinchas Wallerstein collaborating with the Ministry of Defense, the Ministry of Justice and the Civil Administration is already taking action to implement the recommendations included in the report and advance ‘regularization’ measures. As part of this work, the task force has compiled a detailed, comprehensive database of all illegal Israeli structures and outposts the government seeks to ‘regularize’ and the expected ‘regularization’ method. The first ‘regularization’ act is likely to be the retroactive authorization of some 2,700 to 3,000 structures built on privately owned Palestinian land allocated by the state to Israeli settlers as a result of errors that led it to believe the land was public land. Such ‘regularization’ will be undertaken using the market ouvert doctrine whether or not the structures were built in compliance with master plans and building permits, and whether or not the land had been paid for. The state is expected to declare the establishment of some 20 new Israeli settlements in the West Bank as part of the ‘regularization’ policy and the implementation of the report. These are unauthorized outposts that cannot be ‘regularized’ as neighborhoods in approved settlements and which the state was unable to find any other way to retroactively authorize. The Zandberg Committee aids a racist endeavor whose essence is the dispossession of Palestinians from their land on the basis of ethnicity. The euphemisms used in the report and the legal terminology it employs do nothing to hide the fact that the ‘Regularization Committee’ report is, in fact, an expropriation report which provides the government more methods for normalizing and deepening the iniquity of Israel’s settlement policy: one area, the West Bank, with two populations – privileged Israeli citizens and Palestinians living under military rule, dispossessed and oppressed.